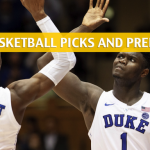 The Duke Blue Devils are the favorite to win the national championship with odds of +210. They are also would-be tormentor of the North Dakota State Bison, who are the unquestioned huge underdogs in this first round matchup. But are we all in for a massive shock via a North Dakota State (+500,000) win over Duke? 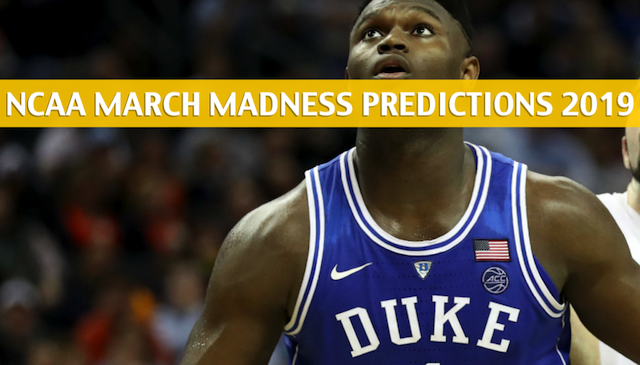 It’s March Madness time, anything is possible, or is it? North Dakota State Bison got out of the First Four after a thrilling 78-74 victory over the North Carolina Central Eagles on Tuesday. The Bison ate definitely thankful that their outside snipers were dialed in during that game, as the team went 9-for-20 from downtown. Moreover, the Bison leaned on their ever-excellent free-throw shooting to carry them, especially during the tenser parts of the game. North Dakota State sank 19 of 24 attempts from the charity stripe, including three from star player Vinnie Shahid when there were eight seconds remaining in regulation. Beating Duke is an incredibly lofty goal for the Bison, but if they could sustain their touch from deep and get confidence early, they could give a bigger challenge for the Blue Devils than what most people though North Dakota State is capable of giving the ACC Tournament champions. The Bison were 25th in the nation back in the regular season with 9.7 3-pointers per game. North Dakota State is 6-4 against the spread (ATS) after a win this season, and is 14-12 ATS on the season as a whole, covering 53.8% of the time. Zion Williamson has been mowing down defenders all season long. 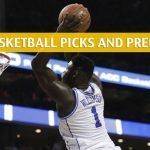 In the ACC Tournament, the terrorizing man-child and future NBA lottery pick chopped up Duke’s opponents into tiny pieces, averaging 23.6 points and 10.0 rebounds over three games. Against fellow top-seed North Carolina Tar Heels in the semis of the ACC tourney, Williamson shot 13-for-19 from the field and finished with 31 points to go with 11 rebounds. Williamson is bound to wallop whoever North Dakota State throws his way. 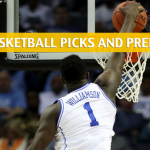 But even if one takes Williamson out of the equation, the Bison will still find themselves in trouble against Duke since the Blue Devils have plenty of future NBA stars not named Zion Williamson. 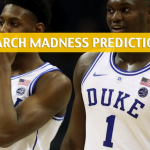 RJ Barrett, Cameron Reddish, and Tre Jones are three key players expected to dominate this coming Saturday. Barrett leads Duke with 22.9 points. 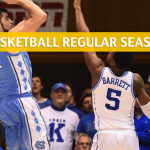 Duke should have an easy time controlling the game with its elite rebounding. The Blue Devils averaged 41.8 rebounds per game in the regular season, while the Bison only managed to pull down 30.8 boards per contest. 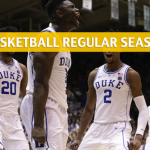 The under is 5-1 in Duke’s last six games, while they are just 14-14 against the spread (ATS) after a win this season, and are 18-16 ATS on the season as a whole, covering 52.9% of the time.